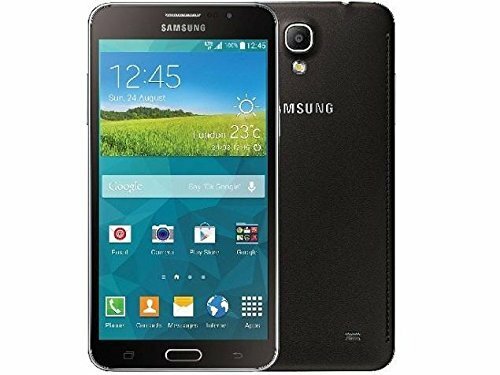 Samsung Galaxy Mega 2 is a quite good Android cellphone, with a great performance Quad-Core processor speeding at 1.5 GHz, an enormous 6-inches touch-screen, and two cameras, an 8 megapixels back side camera and a 2.1 MP front camera. That's everything we have to say? Not at all, it's only the shortest summary in history. The Mega 2 is available only in color black. Though the Samsung Galaxy Mega 2 just has 6.44" long and 3.34" wide, it still manages to pack a 6" display. Being just 0.34 inches thick,this cellphone is very slim and good-looking. Samsung did an excellent design job making the Samsung Galaxy Mega 2 as lightweight as 6.86 oz. The Samsung Galaxy Mega 2 has a interesting 1280 x 720 (HD) 6 inches screen, which makes it hard to distinguish the pixels in the screen. Its screen uses LCD capacitive technology, and allows multi-touch for gestures like pinch and zoom. Samsung decided to design this phone using a Exynos 4415 chip, backed up by a great performance Quad-Core processing unit ticking at 1500 megahertz and a great 1,5 GB RAM. Graphic calculations generally consume lots of processing power, so the Mega 2 uses an ARM Mali-400 graphic processing unit clocking at 500 MHz to help the processor with those tasks. A nice aspect of this phone is its 16 GB quite big internal storage memory and an SD memory slot, allowing you to store hundreds of games and applications without running out of space. The Mega 2 offers Wi-Fi connectivity (which it can share with other devices acting as a mobile hotspot), 4G (LTE) fast data connection and also HSPA+ connection type, a bit slower 4G type or 3G fast connectivity, over HSDPA, HSUPA, UMTS and EDGE technologies. The Mega 2 works with a Micro SIM card for GSM services. The Mega 2 features two cameras, an 8 MP back side camera and a 2.1 megapixels front side camera. This cellphone can also capture Full HD 1920x1080 videos at 30 frames per second. To complete the camera, it also counts with many interesting features: flash, auto-focus, face detection shooting, smile detection shooting, geo tagging and HDR mode. The Mega 2 also includes some interesting features like Bluetooth (4.0), GPS Localization and NFC, and multiple sensors like Light Sensor, Proximity Sensor, Accelerometer, Gyroscope and Compass. This device comes with a 2800 mAh incredible Li-Ion replaceable battery that can keep it running for several hours and even reach the end of the day without charging it at all. Samsung says this device has a 16 hours talk time and a 324 hours stand by time. Samsung is offering this phone for $ 500, which is a rather high price for a cellphone this level. This phone is very appropiate for you it doesn't matter whether you want a device mostly for internet broswing and social networks, are looking for a work cellphone or want it to play games.